Floral design artist Jasper Lee’s creations may look like works of art, but it took some experimenting with various jobs for the 49-year-old to find his true calling. In his first job, which lasted for two years, he was an assistant carpenter. Then he moved on to helping his relatives at their coffee shop as a kopi kia, or coffee shop runner, for a year. “When I was in my 20s, I was really lost and didn’t know what I wanted,” he says. Determined to find his niche in life, Mr Lee joined a landscaping and nursery firm in 1986 as a showroom decorator and discovered his passion for flowers. Two years later, his supervisor decided to leave the nursery to set up her own flower store. She invited Mr Lee to train and work under her. He accepted the offer and from her, he learnt the intricacies of handling flowers, both fresh and dried ones alike. Dried flowers, he explains, have to be arranged differently from fresh ones. For example, to prevent dried flowers from breaking off, they first need to be bundled up in a bunch before use. 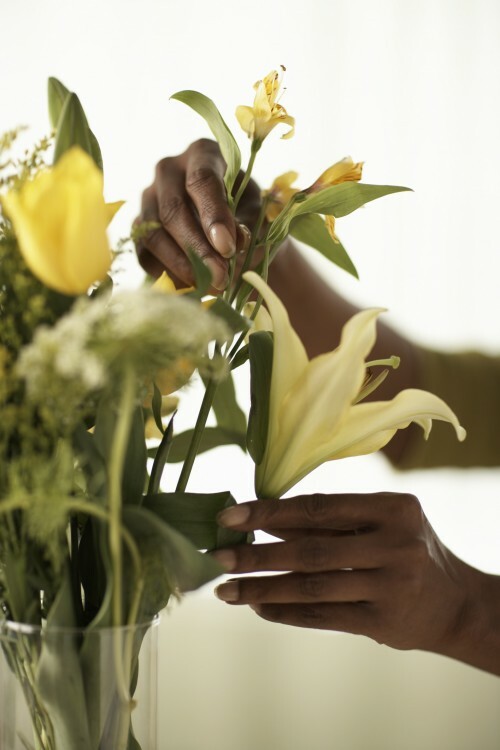 “It takes a lot of skill to handle the different types of flowers,” he says. He wanted to do more, so he left the flower store and joined an architectural company as a model maker, putting together miniature replicas of home interior designs. “I like learning about different things and picking up new skills,” he says. At the architectural firm, he discovered he enjoyed doing interior design. “I guess that interest was always in me. Even when I was doing carpentry work, I would make my own furniture, like beds or chairs,” he adds. He went back to being a florist at a home-grown hamper company. During his five years there, he rose to become the creative head of the company’s floral design and photography department. Despite working with flowers every day, Mr Lee missed working on interior design. He decided to join an antique store as a showroom display artist, where he handled rare artefacts from around the world. In 2000, he set up his own firm, Jasper Artistry, to marry both passions. And he has been rewarded for following his heart. He still recalls one of the stores he decorated — shoe retailer Pazzion at Junction 8 — which won third place in the Capitaland Retail Best Decorated Store Award. He used twigs and fresh pine leaves, embellished with white crystal balls, to reflect the Christmas festivities. Fashioned into Christmas trees and wreaths, these small creations fell into place with the shop’s existing neoclassical design, but still stood out on their own. Mr Lee was also responsible for many of the table centrepieces at the Formula 1 festivities last month. He attributes the award-winning looks of his floral pieces to his perfectionist streak. “When I first started out, I was never satisfied with my work, despite receiving praise for it. But slowly, I learnt to let go. The mental pressure that one gets from being a perfectionist is quite high,” he says. Despite his obvious passion for the job, Mr Lee said that it is also time for him to take things slow.